GlobeYachtCharter is the pioneer luxury yacht charter company offering yachts for rent at a fair price. Over the years we specialized in family sailing holidays, and now have reached the acclaimed position of being recognized as the best yacht charter Croatia - a valuable feather in our cap. Besides Croatia, our boat rental service is currently available in well-known and colorful Mediterranean sailing destinations Greece & Italy, as well as winter season cruising spots like Caribbean and Bahamas. With all-inclusive services on crewed motor yachts and skippered catamarans, we represent the pinnacle of what yachting industry has to offer. 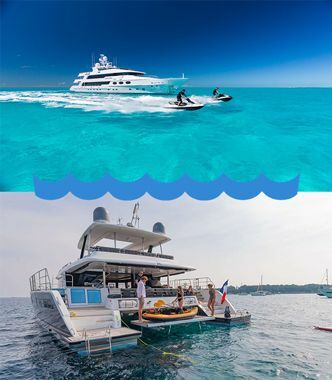 This includes bareboat charter for more experienced sailors, and fully crewed deluxe superyachts available in south of France also known as Côte d'Azur. 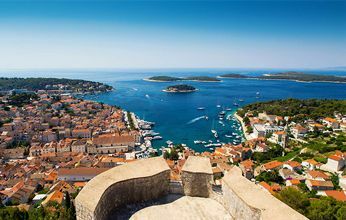 And when it comes to Croatia sailing, we offer the unrivaled experience as newer and more equipped yachts are joining our fleet in Dubrovnik, Zadar and Split. Sail to Vis and Hvar or just swim in perfect blue waters of Adriatic. Our trusted staff will help you choose ideal boat, answer your questions, suggest sailing itinerary and assist in any other way. A luxurious feeling, an adventurous sojourn and a peaceful bliss – truly our unique vision for yacht charter in Croatia. Why opt for luxury yacht charter in Croatia? It‘s not all who opt for luxury yacht charter service, rather only the crème de la crème aficionados who love yachting to the core. And yes, we cater to them predominantly. At GlobeYachtCharter, we rent deluxe superyachts of various kind, and each one of them elevates the luxury quotient of corporate yachting and family vacations. Our clients act as a testament to the quality. Discover crystal clear waters of the Adriatic, visit trendy island of Hvar, or just enjoy pleasant life style on board. Hire luxury yacht in Croatia and spend unforgettable yachting vacation with your family or friends. The luxury yachts we charter are either brand new, or extremely well maintained, and adhere to all safety standards. Most of all, these mega yachts are glamorous-looking, stylish and are fashioned with the engaging ambience. Our luxury yacht charters in Croatia, closely followed by France and Greece are the most sought-after among all Mediterranean destinations. Croatia yacht charter is ideal choice for cruising around perfectly positioned islands of Adriatic. From northern stony island of Krk over mysterious Vis to charming Mljet in the south, there's an islet for every taste. With its crystal clear blue water, this destination is becoming increasingly popular and attractive destination for yacht rentals and family sailing holidays. Eight national parks, sunny beaches, countless bays and secluded coves. Truly, Croatia is world's top sailing hot-spot. Yacht charter vacation in Greece is well known, to sailors and tourists alike. 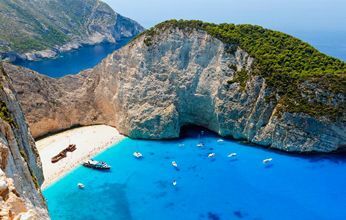 As anyone who has already tried will tell you, the best way to visit the Greek Islands like Santorini, Mykonos, Zakyntos or Corfu, is by boat. In addition to luxury superyachts in Greece, our fleet of motorboats and catamarans for charter is ideally suited in places like Athens, Lavrion or Lefkada. Indeed, whether you take the route through Ionian islands or Sporades, we will make sure you have perfect sailing holidays in Greece. 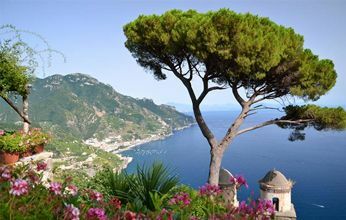 Mediterranean luxury yacht charters include our fleet in world's most glamorous destinations such as French Riviera, as well as idylic coastal town Portofino in Italy and emerging star in nautical tourism - Montenegro. Charter a luxury megayacht and visit charming St. Tropez, stop by for Monaco Formula 1 Grand Prix or hang out with movie superstars at Cannes Film Festival. With help of our VIP Concierge Service combine relaxation and hedonism for ultimate superyacht vacation. Ideal for families and smaller groups who would like to enter the magical world of sailing. All our sailing yachts are modern and superbly maintained. How about getting on board fully crewed traditional gulet, tasting delicious Dalmatian cuisine and enjoying the cruising in full? Contact us for details and price! Take advantage of our last minute deals, or get the best early booking discount with globeyachtcharter.com. On our special offers page you will find the most popular special offers for Croatia sailing at amazing prices. Early Booking and last minute discounts range from 5% up to 40% on boat rental services. With Globe Yacht Charter services, prices and numerous choices you are guaranteed a fantastic sailing holiday deal. Select your destination to check special offers and check our booking terms and conditions for better understanding. Wow! I’m still not sure that past week was real. Looking back, the only thing that was bad, was that it ended so fast. Ivana was just great and very helpful. Thanks Globe Yacht Charter for making it so perfect. Coming back next year, so make everything ready for us! I arrived back to Sweden earlier today, just wanted to say everything was great. Thanks everybody from GYC for making our trip the best two weeks of our lives. I would definitely recommend our captain to anyone who want a real professional and friendly skipper. All the best from Sweden. Hälsningar, Anna. Hello. Once more, I have to say how good our week was.Our arrival, finding a boat, meeting with a skipper was effortless and smooth. I will recommend Globe Yacht Charter to all of my friends and business associates. Till next time. Cheers. You are chartering a yacht or catamaran, and don't want to think about costs, marina reservations or provisions? Then check our all-inclusive yacht charter service in Croatia. This service includes your own boat, skipper and cook, for best experience. Simply meet us in marina, and we will do the rest! Globe Yacht Charter VIP Concierge recognizes our clients demand for high class service. From hiring private jet, placing security guards, luxury limousine transfer service, catering, banking services, flower provisioning to spa services on or of board, our takes VIP Luxury Concierge to the highest possible standard. We are proud proud to present our exclusive Sporty Skipper program. Spend unforgettable active vacation on sailing boat, catamaran or motor yacht, with one of our sport orientated skipper. Together with your skipper, you will plan your daily program of swimming, hiking, biking, playing water sports, core exercises and yoga. We are one among the very few yacht charter providers in Croatia that ensures complete transparency in rental charges. We don’t resort to the practice of inflating the rental charges when the demand is extremely high. Our intention is to guarantee a hassle-free sailing in Croatia and remain in the hearts of yachting enthusiasts forever. The features of yachts, gulets and sailboats are realistic and are not exaggerated. Our team of professionals are trained and groomed to meet the demands and expectations of our guests. We follow a static pricing for yacht rentals and our tariffs are affordable to every class of customer. Globeyachtcharter.com ensures that the customer gets their desired yacht, and there won’t be any mismatch in the boat seen in website and vessel that is delivered in marina. Our customer support team is accessible round-the-clock in order to assist customers with queries of any kind. Why gobeyachtcharter.com is unique in boat rental offerings? The uniqueness of our company lies in the varied fleet of yachts that we rent out and special exclusive services like Sporty Skipper program. Our entire fleet is modern and houses some of the finest world-class vessels through state-of-the-art built. 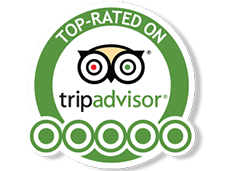 And, moreover our yacht rental deals are best in Croatia. We never settle in for less, rather our focus is on providing the extraordinary service to our clients. And that’s where we are adept in. Our crewed yacht charter in Croatia and other countries are most sought after and widely recognized for its superior experience. We go a long way in satisfying the imminent needs of our customers. And we have exclusive support for yacht charter in Croatia and Greece. Globeyatchcharter.com will customize its Croatia sailing charters based on customers’ request, and create tailor-made yachting holidays. Indeed, this feature is unique amongst all our peers and is increasingly selected by business people and families alike. Our crews offer an adventurous experience to our guests by skillfully showcasing their skills and knowledge of Croatian seas, thus ensuring sailing in Croatia is an unforgettable experience ever to be cherished. How to rent a yacht at globeyachtcharter.com? Customers interested to book crewed yacht charter, bareboat catamaran charter, luxury yachts and sailboats can get in touch with our agents, solicit the necessary details and go ahead with booking their desired yacht. There is an email address provided in the contact us section through which customers can write to us requesting booking of desired yacht, catamaran or gulet. We will respond to your email in shortest possible time. Call us directly on the number provided in the contact us section, and proceed ahead with the booking. Alternatively, when desired yacht is found, you can leave your phone number and we will call back with all the details.